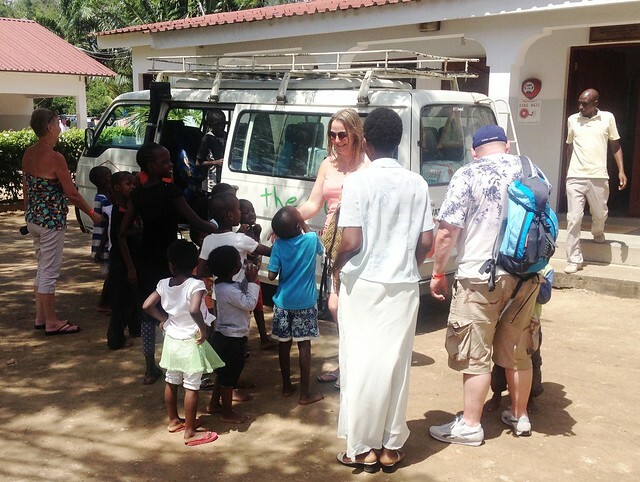 After taking holidays in Kenya for many years we visited a number of different orphanages. I’m sad to say that the majority of these, for various reasons, weren’t anything that we would feel comfortable supporting. So, after some lengthy research we found the GLO. In 2010 we made our first visit and we were not disappointed! 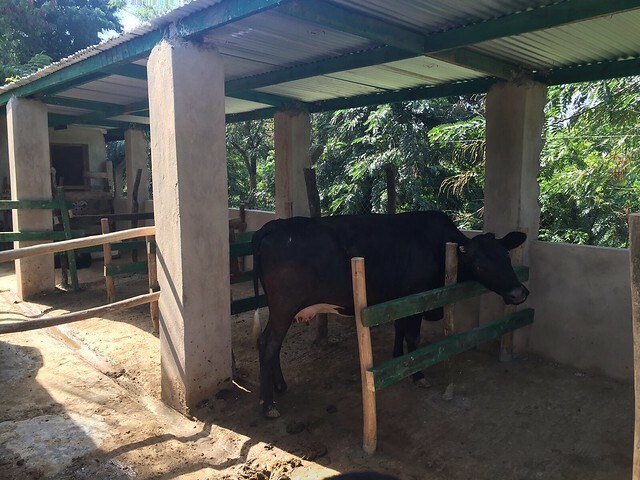 We had taken some money with us to put towards something that could help… this turned out to be a cow! We were quite happy, upon seeing the orphanage, to hand the money over to Kevin to enable him to source a cow but he had other ideas. Never in our lives had we stood in the middle of a field on a farm choosing a cow! But we did, and that’s how it all started. Since then we have visited when we can and are always impressed at the constant improvements, quality of staff and most of all the health and happiness of the children. We have seen some of them leave through adoption, some reunited with parents or extended family and most that will call the GLO their home until it is time for them to leave. In-between these visits we raise as much money as we can, through our own savings and donations of clothes etc. 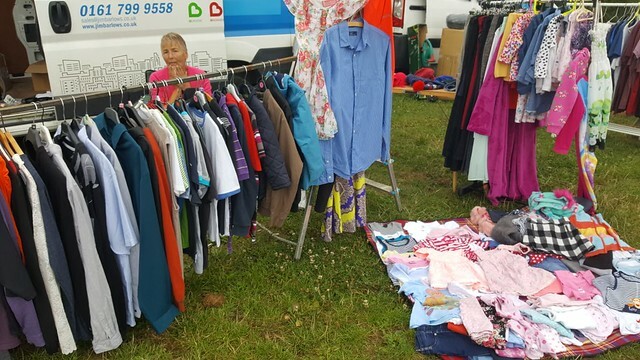 from friends we stand out in the wind and rain doing car boot sales. Wet and cold but all worth it when we think about where it is going in the end. 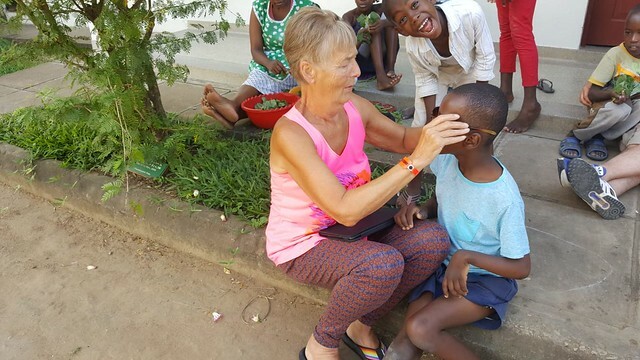 In August this year we returned to the GLO and passed our donation to Mercy, she had the shopping list ready and Eluid got straight into the bus and went off to the shops and market to buy the dry food/essentials for the month. This is one of the many fantastic things about the GLO – Every single penny of a donation is used for something there, none of it is taken for administration or travel or anything like that. In previous years we have accompanied them to the shops but I think sometimes we were more of a hindrance than a help, so this year we left them to it and as soon as Eluid was back Mercy took a photograph of what had been bought and sent it to us before it was even unloaded from the bus. We were very impressed with the shamba this year, it is going from strength to strength. 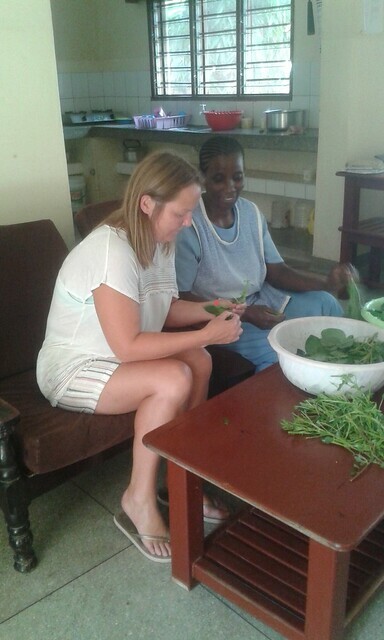 There are various fruits and vegetables, chickens and eggs providing a good fresh varied diet for the children. Also providing jobs for local people who come and help out with the mammoth task of keeping everything neat, tidy and growing! The children’s meals are cooked daily using the fresh produce and are nutritious and tasty – we know because we had the pleasure of joining them for lunch! Remember the cow….. well the one we bought isn’t there any more but her grand daughter is! 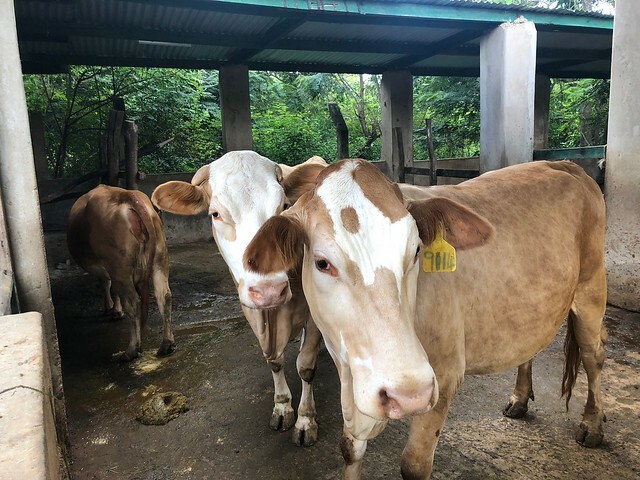 The cow shed is not even a cow shed as it was back in 2010, it’s now luxury accommodation with eight happy healthy cows all giving fresh milk daily for the children. 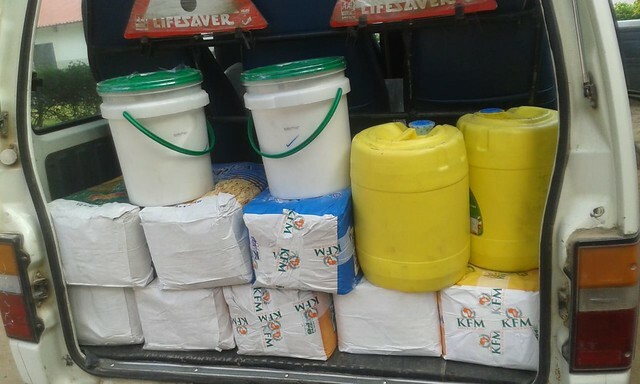 The milk that is left over is sold to the school staff with the money going back into the shamba. Ten months ago during our last visit we met Saidi, he is one of the oldest boys there and came in through shocking circumstances. He was very quiet and had hardly any form of communication, one fixed expression on his face. Ten months later he gave us one of the biggest smiles, he offered his hand out to us and was very happy to lead us around the GLO, showing us into the houses, walking around the shamba. That certainly brought a tear to our eyes seeing how far he has come after what he has been through. He would not be where he is now without the constant care and dedication of all of the staff, they are so committed to the project and it shows through every single one of the children there no matter what their background or current needs. Of course it’s not just all about the children that are lucky enough to have been given a second chance at the GLO, St Bernadette Mary School is giving local children who wouldn’t usually get an education a chance. The sewing room is giving those that aren’t academic a chance to learn a trade, whilst bringing some money back into the school. The physio therapy room and staff are treating those children from the village who cannot afford to get treatment elsewhere. 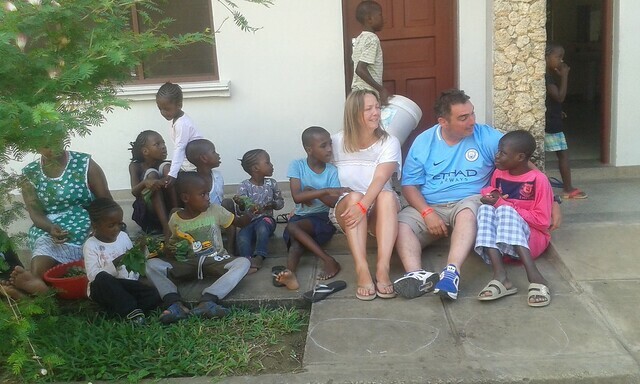 It truly is a wonderful project and if you are ever in Mombasa get in touch and visit! You won’t be disappointed, don’t expect a show, a rehearsed dance or a pop up shop, as happens in so many orphanages around Kenya, because you won’t get it. What you will get is a taste of the day to day goings on, the laughs, the tears and the hard work. Thanks for this Angela, I too am lucky enough to be friends with Mary and Kevin and never stop being amazed at what they have achieved. It’s a rare look into the pure goodness of human love. May thaGLO continue to go from strength to strength!